For us, underfloor heating is not just about installing a high-quality plastic pipe in a building structure. As the market leader in the private sector, JK knows more than anyone else what’s involved when it comes to installing an underfloor heating system in people’s homes. We take an active approach with our customers, including the floor covering for the various systems so that the highest level of comfort can be achieved. We work with renowned brands for the different types of floor finishes. And, amongst others, JK floorheating works with affiliated dealers. This includes the many specialized companies supplying flag stones and natural stone who we have worked with since the company was founded. Over the years, many other sectors have been added such as suppliers of laminate flooring, vinyl, wood and specialist building materials as well as carpet showrooms and interior designers. Together with our partners we can help you with these finishing touches as well. Would you like to find out how much it will cost? The Amtico products are tested with our underfloor heating system. Tests are carried out to ensure the maximum floor surface temperature of 27 [C], application possibilities and processesing instructions. The result of those tests have shown that Amtico products are an ideal floor finisher in combination with JK’s in-ground UFH system. The graph below shows figures of the heat output which are phenomenally good and reasonably sufficient for using as primary heat source in your house. JK shares common values with Amtico as product and service quality, innovation and client focused companies with dedicated employees. The achievements of Amtico over the last 50 years and the achievements of JK over the last 25 years, with numerous innovaties product designs, business cases and references is a great way to proof level of professionality and generates a realibe floor sultion which includes heating, finish and design. JK and Amtico do work with the same retail partners, this the purchase process transparant, clear and quick. 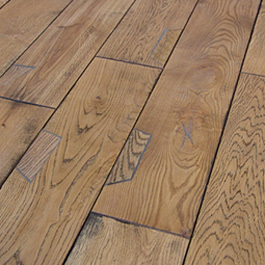 One contacperson for both flooring and heating is convienient and trustworthy. There are a variey of advantages that comes with installing vinyl flooring in combination with an eco friendly UFH system in your home. 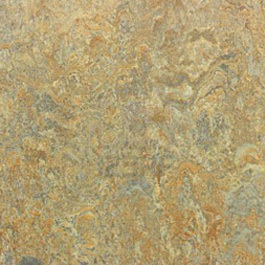 The patterns and colors of vinyl flooring are almost endless and can even mixed with different materials facades to create an unique design in the floor. Application of underfloor heating system makes it even more practical and aesthestic since there is no unsightly pipe work anymore and there is more availalbe space due the absencens of heating elements as radiators. Underfloor heating and vinyl flooring are easy to maintain and arguably a healthy and safer solution then traditional heating systems and flooring products. First of all it is more hygenic since areas around convector heaters and radiators are difficult to clean, due absence of those heating elements is a mop and vinyl floor cleaner sufficient to take care of the floor. can be used to remove stains. No risk of getting burnt by radiators and a better level of humidity reduces dust circulation and eliminates dust minutes by reducing moisture content. 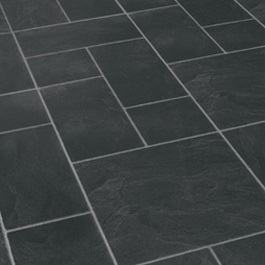 Vinyl is soft beneath your feet and it does not get cold in combination with a underfloor heating system. Radiant heating from UFH systems is generaly perceived as more pleasent and some vinyl tiles have a padded layer that can make walking even more pleasurable. JK in-ground UFH system can be applied into existing screed floors. Due the unique installation method of JK is removing the existing subfloor or raising the floor not needed anymore and provides a propostinal cost reduction. Furthermore vinyl is generally considered to be a highly durable material which can last upwards of twenty years, this in combination with the highly durable JK Flex Tube with a product guarantee of fifty years. Beside those sustainable product characteristics are very efficient running costs of the heating system arguably the biggest long term savings. Uniform heating each room and usage of low temperature system can generate savings up to 30% in running cost. JK’s in-ground UFH system can be easily installed into all type of subfloors through a quick and dustless grinding installation process. 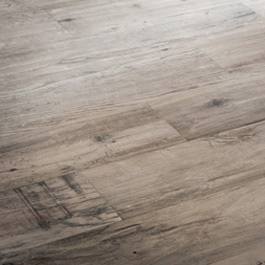 After installation of the underfloor heating system, the adhesive and vinyl flooring of Amtico can be directly applied. A dry and leveled subfloor are the conditions which should be prepared before installation of the underfloor heating system. Symbol for floor coverings suitable for use with underfloor heating systems. In accordance with the standard the maximum R-value (thermal resistance Rb of the finished floor) is 0.15 m².K/W. The higher this value, the higher is the insulation effect of the floor covering construction.